NEW DELHI: Pune FC cruised to a massive 6-1 win over arch rivals Mumbai FC in a U19 I-League Round-5 encounter at the Cooperage Ground in Mumbai on Wednesday, January 7. The big win was powered by a hat-trick from striker Arif Shaikh (21st, 62nd & 83rd minute) and strikes from attacker Sannik Murmu (41st), Asheer Akhtar (71st) and wing-back Dimple Bhagat (90+2nd). Meanwhile, Nachiket Palav’s goal for Mumbai FC in the 81st minute only proved to be a consolation goal. The win was Pune FC’s first away from home and also helped the youngsters to a Maha-Derby double over their counterparts having already beaten them 3-0 in the first leg. Furthermore, the hattrick from Arif was the second instance of a Pune FC player bagging three in a game this season. 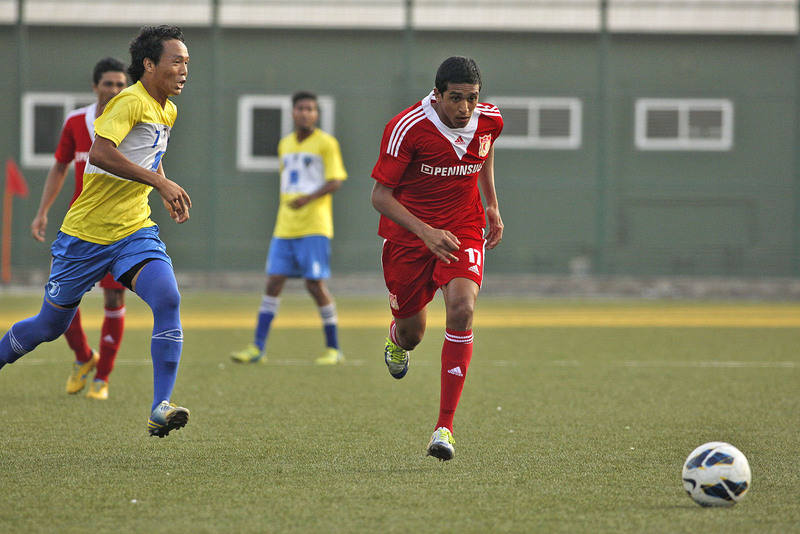 Strike-partner Farukh Choudhary’s triple in the 7-1 win against PIFA Colaba FC was the first. Having dominated proceedings in the opening quarter, Pune FC finally broke the deadlock in the 21st minute. Winger Chesterpaul Lyngdoh cut back from the right to find Asheer Akthar in the clear. The defender cross was met by Arif who sent his header home past the keeper at the second post. Pune FC doubled their lead in the 41st minute. Attacker Sannik combined with Farukh Chowdhury whose good release enabled Sannik to let go a stiff left footer past the keeper to give Pune FC a two goal lead at the break. The second half was a similar story as Pune FC continued to dominate proceedings. In the 58th minute, Pune FC earned a penalty after Chesterpaul was brought down by Janaminlen Khongsai. However, defender Myron Mendes who stepped up missed the attempt from the spot. The miss didn’t deter Pune FC who got their third in the 62nd minute. After Farukh missed in a one-on-one situation, Arif controlled and scored on the rebound to get his second. Ten minutes later, Pune FC struck once again. Defender Asheer hammered home a loose ball that came off a defender’s poor clearance leaving the keeper stunned to make it 4-0 in the 71st minute. As Pune FC continued to camp in the rival half, the hosts pulled one back in the 81st minute through Nachiket Palav who scored against the run of play. In the final ten minutes of the game, Pune FC struck two more times. First, Altamash sent Arif in the clear and the striker controlled and slid the ball into the net to complete his treble. Deep into injury time, left-back Dimple set on a great solo run down the left flank before scoring with a great angular finish to the second post from inside the box to complete the rout.